The United Kingdom of Great Britain and Northern Ireland (commonly known as the United Kingdom (UK) or Britain) is a sovereign state. The country includes the island of Great Britain, the north-eastern part of the island of Ireland, and many smaller islands. Northern Ireland is the only part of the UK that shares a land border with another state—the Republic of Ireland. The form of government is a constitutional monarchy with a parliamentary system. The UK consists of four constituent countries: England, Scotland, Wales and Northern Ireland. The latter three have devolved administrations, each with varying powers, based in their capital cities, Edinburgh, Cardiff and Belfast respectively. Associated with the UK, but not constitutionally part of it, are the three Crown dependencies: Guernsey, Jersey and the Isle of Man. The United Kingdom has fourteen British Overseas Territories. These are remnants of the British Empire which, at its height in late 19th and early 20th centuries, encompassed almost a quarter of the world's land surface and was the largest empire in history. 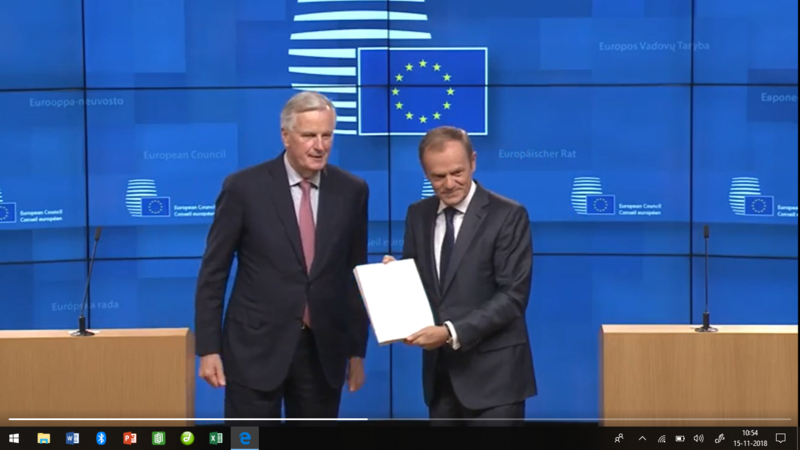 "The UK Goverments policy remains to leave the Europen Union in an orderly manner on the basis of the Withdrawel Agreement and Political Declaration agreed in November, complemented by the Joint Instrument and supplement to the Political Declaration President Juncker and I agreed on 11 March". "When I became your prime minister the United Kingdom had just voted to leave the European Union. From my first day in the job, I knew I had a clear mission before me - a duty to fulfil on your behalf: to honour the result of the referendum and secure a brighter future for our country by negotiating a good Brexit deal with the EU. Throughout the long and complex negotiations that have taken place over the last year and a half, I have never lost sight of that duty". "I have always had great admiration for the United Kingdom. The rich parliamentary tradition, crystal clear thinking, pragmatism and humor. The land of Isaac Newton, John Locke, John Stuart Mill, David Hume, Adam Smith and William Shakespeare. The country also includes great statesmen like Lord Castlereagh, Benjamin Disraeli, William Gladstone and Winston Churchill. Today grandeur is less available. In the circles of Brexiteers, personal gain has won the public interest. The current Prime Minister Theresa May was an opponent of Brexit but was silent because she wanted to succeed Cameron. The same applies to Boris Johnson. He was also an opponent but opted for Brexit because he might have a chance to follow Theresa May. While his great example Winston Churchill, when it really mattered, always chose the national interest, Boris is guided solely by his personal interest. Churchill warned in the interwar period for the rise of the Nazi regime while he knew that the British 'appeasers' ridiculed him behind his back. Boris knows very well that the United Kingdom will pay a high price for Brexit but his personal career considerations weigh heavier. The contrast with Churchill can not be greater. The rhetoric and framing of the Brexiteers are dripping with hypocrisy. The reaction of Boris Johnson to the May deal with Brussels speaks volumes. The deal will prevent a hard border between Northern Ireland and Ireland (and between Northern Ireland and the United Kingdom) because the UK will remain in the EU Customs Union for the time being. Boris now shouts from all rooftops that the UK remains a vassal state of the EU. He is right, of course, that the UK will not be able to conclude trade agreements with third parties for as long as it remains a member of the EU Customs Union. He is also right that London should keep to EU rules for the time being, without being able to influence those damned regulations. Boris uses a colonial frame to express his aversion to a soft Brexit and his preference for a hard Brexit. However, it is unfair because a continuation of the British EU membership gave the British, like all other members of the EU club, the opportunity to continue to influence the rules of the club. Boris, however, only wants the EU's appetites, but not the burdens. There is, however, no club in the world in which one can enjoy the lust only without burdens. Brussels and the EU member states are not crazy henkie. When it turned out that 'the lust but not the burden' option did not exist, he decided at all costs to support a strong Brexit. And those costs are sky-high. According to the IMF, the UK will surrender 6% of GNP in the event of a hard Brexit. Grass will grow in the ports of the UK. Trucks will be in a traffic jam from London to Dover. That colonial frame of Boris is in itself hypocritical enough but it gets worse if one realizes how colonial the so-called anti-colonial Brexiteers themselves treat the Northern Irish. Research shows that Brexiteers want a Brexit all over the UK that they are willing to pay the price of inflating the fragile Irish peace regime. 84%, 83%, 73% and 87% of Brexiteers in Wales, England, Scotland and Northern Ireland, respectively, believe that breaking up the peace process is a prize that may be paid to realize Brexit! Let this work on you. In the period 1968 to 1998 more than 3,600 people were killed and 50,000 injured during the "Troubles" in Northern Ireland. Northern Irish citizens were murdered cold-blooded during sports competitions, in hospital, in prison, when they left the church and even while attending a worship service. In Northern Ireland, the memories of these slaughter are still fresh. Not much is needed to rekindle the violence. A hard boundary between Northern Ireland and Ireland is literally playing with fire. And what do those foolish from the Brexiteers say in the United Kingdom (including Northern Ireland)? 'Inflating the peace process in Northern Ireland is a price that we are willing to pay to achieve a tough Brexit'. The Brexiteers can not give a blow if blood will flow again in Northern Ireland if they can implement their blindly foolish Brexit ideology that is causing their country great economic damage. Boris Johnson and his colleagues blame Brussels for a colonial attitude while they themselves are prepared to stir up a new civil war in Northern Ireland. A larger form of hypocrisy has yet to be invented." British influence can still be observed in the prevalence of language, culture and legal systems in many of its former colonies. The UK has the world's sixth/seven-largest economy by nominal GDP and eighth-largest economy by purchasing power parity. It was the world's first industrialised country and the world's foremost power during the 19th and early 20th centuries. The UK is still referred to as a great power and retains considerable economic, cultural, military, scientific and political influence internationally. It is a recognised nuclear weapons state and its military expenditure ranks fourth in the world. What can change if the UK vote to leave the EU, you can see here. The UK has been a permanent member of the United Nations Security Council since its first session in 1946. It has been a member of the European Union and its predecessor the European Economic Community since 1973. It is also a member of the Commonwealth of Nations, the Council of Europe, the G7, the G8, the G20, NATO, the Organisation for Economic Co-operation and Development (OECD) and the World Trade Organization. "Britain's destiny lies in Europe as a full member of the Community. We shall not be standing on the side-lines or, as you would say, watching from the bleachers. On the contrary, we shall bring to it our own distinctive point of view—practical and down to earth. We fight hard for what we believe in, namely: — a Europe based on willing cooperation between independent sovereign states; — a Europe which is an expression of economic freedom, without which political freedom could not long endure; — a Europe which rejects central control and its associated bureaucracy; — a Europe which does not resort to protectionism but remains open to the outside world; — and—of supreme importance for Britain—a Europe which always seeks the closest possible partnership with the United States", according to Margaret Thatcher, 1990 Aug 5 during her speech "Shaping a New Global Community. During the late 19th century, Britain's primary goal in foreign policy was to maintain the balance of power in Europe and to intervene should that balance be upset. Its secondary goal was to protect its overseas interest in the colonies and dominions, as free trade was what kept the Empire alive. The sea routes to the colonies, especially those linking Britain to India (via the Suez Canal), were vital. By an increase in the importance given to British colonies, protectorates and dependencies overseas in an era of increasing competition in the wider world, a situation relatively unknown since Britain's conflicts with France during the eighteenth century, the policy of 'Splendid Isolation' was perceived what policy is characterized by a reluctance to enter into permanent European alliances or commitments with the other Great powers. The term was coined to praise Britain's lack of involvement in European affairs. 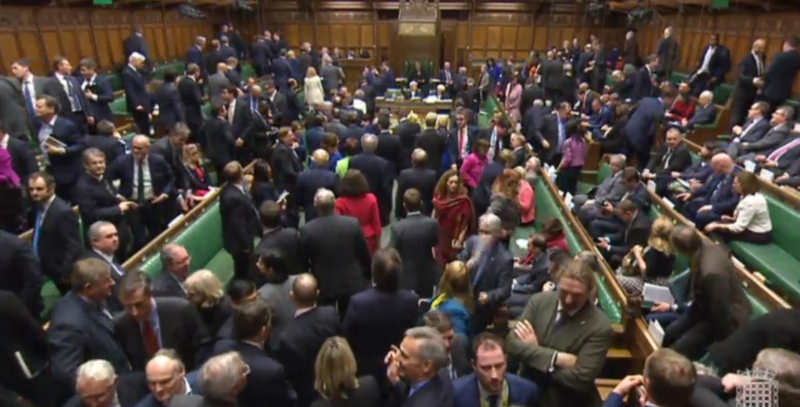 The government will "push ahead" to triggering Brexit without Parliamentary approval, Downing Street says. In a statement after Theresa May's cabinet gathered at Chequers, Number 10 said ministers agreed on the need for a "unique" deal for the UK. This included controls on EU migration as well as a "positive outcome" on trade, Downing Street said. Mrs May told cabinet colleagues the UK would not stay in the EU "by the back door". The PM has said official talks with the rest of the EU will not begin this year. The meeting at the PM's country residence was billed as the most significant since the referendum vote in June amid reports of tensions and diverging priorities among key figures in the Cabinet charged with implementing the UK's exit. .Cabinet ministers had been asked before the summer break to identify what were described as the "opportunities" for their departments.In comments made at the start of the meeting while cameras were allowed in, Mrs May told ministers that the government was clear that "Brexit means Brexit"." We will be looking at the next steps that we need to take and we will also be looking at the opportunities that are now open to us as we forge a new role for the UK in the world," she said. " We must be clear that we are going to make a success of it - that means no second referendum, no attempts to sort of stay in the EU by the back door. That we are actually going to deliver on it." The prime minister has said the UK government will not trigger Article 50 - the official mechanism for beginning the process of leaving the EU - until the start of 2017 at the earliest. 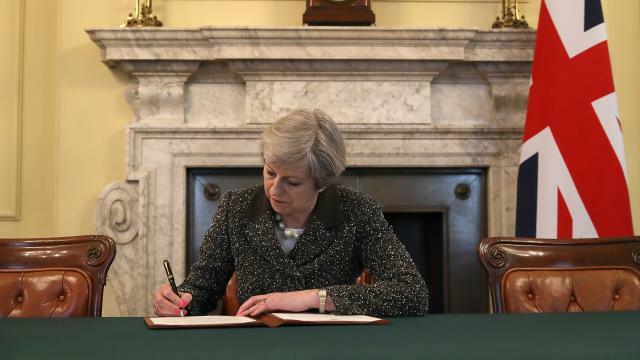 From that moment, discussions over the terms of the UK's exit will conclude in two years unless all 28 members of the EU agree to extend them. 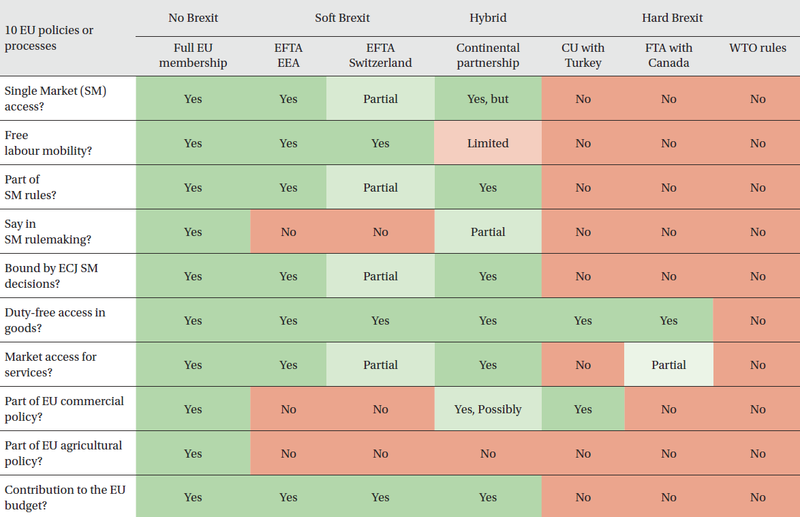 Brexit: To stay or to go, is that the question? In the wake of the recent migration crisis, the economic and financial turbulance and the violence increasing in and around Europe, the pressures on European cohesion are rapidly mounting. In a hyperconnected world, many people feel uncertainty about Europe's future. The UK EU referendum - schedulded for June 23 this year - echoes all these concerns and more. One thing is certain: the choice of UK citizens will affect us all. Prof. Iain Begg (London School of Economics), John McLellan (Scottish Newspaper Society) and Isabella Schwartz (European Cultural Foundation) explained us facts and fiction in the current UK referendum debates and the price we would pay if the UK were to leave the EU. 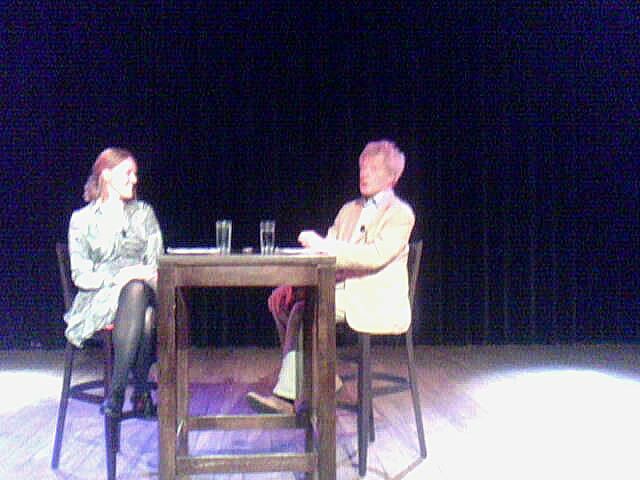 On 10 November 2015, controversial philosopher Roger Scruton debated on a possible British exit from the EU during the Nexus Masterclass' Brexit: Yes or No? "With humor and a resolute eloquence the conservative philosopher defended its position that the UK is better off without the current EU. But the question is not so clear, and what the future holds for the EU keeps guessing - Brexit or not." David Cameron has outlined his four goals for reforming the UK's membership of the EU, including restrictions on benefits for people coming to the UK. He said Britain faced a "huge decision" in the in/out referendum promised before the end of 2017. But he said he was confident of getting what he wanted from reform talks. Anti-EU campaigners say the talks are a "gimmick" - and the European Commission said the UK's benefits proposals could break free movement laws. Mr Cameron hit back at claims by former Tory chancellor Lord Lawson that the four goals were "disappointingly unambitious", saying they reflected what the British people wanted and would be "good for Britain and good for the European Union". "It is mission possible and it is going to take a lot of hard work to get there," said the prime minister. Curbing EU migration is by far the most vexed issue, although some areas are welcomed by the majority of other EU countries - such as putting a moratorium on the ability of citizens of new EU members' to live and work across the EU until their economies have caught up, also cracking down on benefit tourism and limiting child benefits and out-of work benefits for migrants. The sticking point is undoubtedly in-work benefits. Central and Eastern European countries with a fluid workforce, such as Poland, are loud opponents, although privately they say they would be happy if their best and brightest would think twice before abandoning their homeland. But it is powerhouse Germany that will be the most stubborn stick in the wheel here. Discriminating against EU workers goes against one of the founding EU principles - the freedom to work anywhere in the European Union. Again though, Germany has been clear it will do its utmost to accommodate the UK in its reform demands. The toughest task he is likely to face is persuading other EU leaders to accept restrictions on in-work benefits for new arrivals to the UK, which Mr Cameron said was vital to cut "very high" and "unsustainable" levels of immigration. He said: "I understand how difficult some of these welfare issues are for some member states, and I'm open to different ways of dealing with this issue. "But we do need to secure arrangements that deliver on objectives set out in the Conservative manifesto to control migration from the European Union." Mr Cameron claimed 40% of recent European Economic Area migrants received an average of around £6,000 a year of in-work benefits. The European Commission said Mr Cameron's benefit restriction proposals were "highly problematic" as they affected the "fundamental freedoms of our internal market" and amounted to "direct discrimination between EU citizens". But the Commission said it viewed the letter as the starting point of negotiations and it would work with the PM for a "fair deal for Britain which is also fair for all the other member states". German Chancellor Angela Merkel said she was "reasonably confident" a deal could be reached with the UK that would see it remaining in the EU. Mr Cameron has said he wants the UK to stay in a reformed EU, but he has not ruled out recommending leaving if he cannot secure the change he wants with the leaders of the other 27 EU countries. He ruled out a second referendum if Britain voted to leave, saying: "You the British people will decide. At that moment you will hold this country's destiny in your hands. This is a huge decision for our country - perhaps the biggest we will make in our lifetimes. And it will be a final decision." In his speech, Mr Cameron said: "When you look at the challenges facing European leaders today, the changes that Britain is seeking do not fall in the box marked 'impossible'. "They are eminently resolvable, with the requisite political will and political imagination." Alongside publication of the PM's letter, Chancellor George Osborne is meeting European Commission President Jean-Claude Juncker in Brussels as part of the renewed diplomatic push for EU reform. The Vote Leave campaign said Mr Cameron's negotiating demands were "trivial" and that the only way for the UK to regain control of its borders and democracy was by leaving the EU. Labour's shadow chancellor John McDonnell said the PM's position on the EU was "a lot of bluff and bluster" and more about "appeasing" some of his Eurosceptic backbenchers. Labour's position was that Britain should stay in the EU and "negotiate our reform agenda as members of the club", he added. Begin 2013, again the UK expressed dissatisfaction with the balance of power in Europe. The Prime Minister refered to possible exit from the EU. A well-researched and well-considered document full of powerful ideas for Britain’s future in Europe and, indeed, for Europe’s future is 'Fresh Start', a new vision for the UK in Europe. Many of the proposals are already Government policy, some could well become future Government or Conservative Party policy and some may require further thought, such as 'Review of the Balance of Competences between the United Kingdom and the European Union: Foreign Policy' by SEE, the senior experts group. Despite the existence and aims of LME, there are sounds in the UK (as on the continent as well) about an exit of the UK from the European Union or a different interpretation of the form of EU membership for the UK. Downingstreet 10 released 17th Jan 2013 a report on extracts of a speech in advance of the now postponed speech that PM David cameron was planning to make. Prime Minister served notice today that Britain could leave the European Union if its concerns about its membership are not resolved. 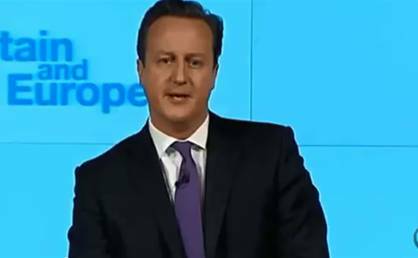 He wants the UK to play a "committed and active" part in the EU in future. He was also planning to warn that, if changes are not made to address the three key challenges of eurozone crisis, economic competitiveness and dramatically declining public support, "the danger is that Europe will fail and the British people will drift towards the exit". But the extracts released by Downing Street did not reveal whether the Prime Minister intended to commit himself to an in/out referendum on British membership of the EU following the renegotiation of its terms which he has already said he plans to undertake after the 2015 general election. The Prime Minister's reference to possible exit from the EU is his starkest warning yet of the consequence of failure to reform Europe, and echoes Chancellor George Osborne's comment to a German newspaper last week that "in order that we can remain in the European Union, the EU must change". He prepared the ground for a public statement of his Europe policy by speaking to opposite numbers in Germany and Sweden in the Netherlands over the last few days, and discussed last night what he planned to say with French president Francois Hollande and US president Barack Obama. Segments of the speech released last night showed that he was intending to tell Europe's leaders that they have a "duty" to respond to the growing frustration of their people and to accept change to the way the EU operates. "More of the same" would condemn EU nations to "less competitiveness, less growth, fewer jobs", he argued. According to the speech extracts, Mr Cameron was planning to use the address to set out what he termed a "positive vision for the future of the European Union. A future in which Britain wants, and should want, to play a committed and active part". He was planning to tell an audience of business people and EU diplomats that Europe "must change, both to deliver prosperity and to retain the support of its peoples". The woes of the euro were already forcing "fundamental change" on the structures of the EU, while a "crisis" in competitiveness was allowing emerging nations around the world to "soar ahead" of Europe, he was due to say. And he was planning to warn that "there is a gap between the EU and its citizens which has grown dramatically in recent years and which represents a lack of democratic accountability and consent that is - yes - felt particularly acutely in Britain". The speech extracts warned: "If we don't address these challenges, the danger is that Europe will fail and the British people will drift towards the exit. "I do not want that to happen. I want the European Union to be a success and I want a relationship between Britain and the EU that keeps us in it." According to Mr Cameron, the austerity measures taken to deal with the crisis in the eurozone have given added urgency to the issue of the EU's democratic legitimacy. "People are increasingly frustrated that decisions taken further and further away from them mean their living standards are slashed through enforced austerity or their taxes are used to bail out governments on the other side of the continent," he was intending to argue. "And yes, of course, we are seeing this frustration with the EU very dramatically in Britain. Europe's leaders have a duty to hear these concerns. And we have a duty to act on them." In a riposte to supporters of the status quo in Europe, Mr Cameron was planning to warn: "More of the same will not secure a long-term future for the eurozone. More of the same will not see the European Union keeping pace with the new powerhouse economies. More of the same will not bring the European Union any closer to its citizens. "More of the same will just produce more of the same - less competitiveness, less growth, fewer jobs. And that will make our countries weaker, not stronger." The Prime Minister's approach won the support of London mayor Boris Johnson, who said in a speech last night that he believed voters would back a renegotiated membership which saw Britain stay in the single market but remove some of the "barnacles" which have grown up around EU membership. But Liberal Democrat Business Secretary Vince Cable warned that renegotiation was a "dangerous gamble", while Labour's Douglas Alexander said Mr Cameron was "sleepwalking towards exit". There was also renewed US pressure, with President Barack Obama telling Mr Cameron that Washington greatly valued Britain being in the EU. Mr Cameron set out his proposed speech in a call with the president yesterday afternoon before it was postponed. The White House made clear that Mr Obama maintained the pressure on the Prime Minister in the call. A spokesman said: "The president underscored our close alliance with the United Kingdom and said that the United States values a strong UK in a strong European Union, which makes critical contributions to peace, security and prosperity in Europe and around the world." 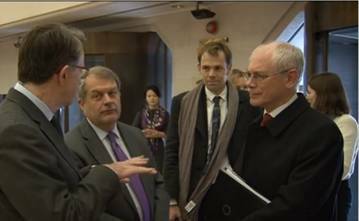 an interview published in the Guardian of the President of the European Council, Van Rompuy. That the future must be a globally-focused Britain which leads in the places where global policy is made. Without this, Britain will be sidelined by the USA, in the EU and within international institutions. Moreover our US allies and others want Britain to play a full part creating an outward-looking European Union shaping the developing global world order. Almost 4 years ago, FE delivered the paper 'Unity produces strength: Keep Europe out of Disintegration', in which was touched a request for change of our civilization from an era of fragmentism to an era of sustainability, and listed what conduct, how much authority, and what capacities and conditions have to be present to gain influence on lines of sight and on the world of ideas. Now, sounds, moods and spheres on the continent let hear that "if the UK wants to leave the EU, then they must do so. 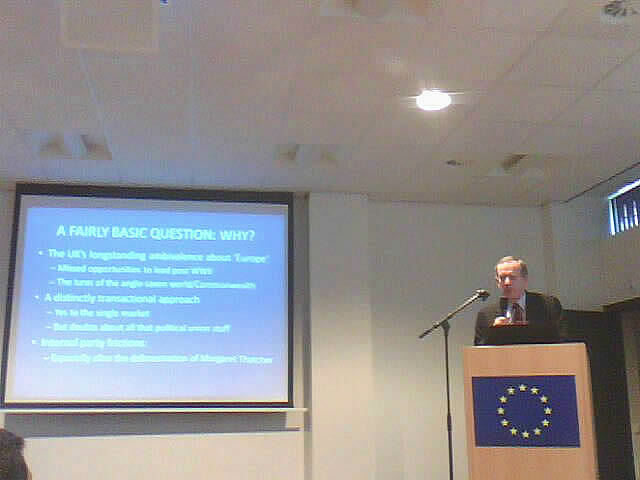 To the EU it will not be a deficiency, because the English are just out to its own advantages." In contrast to the anti-sounds, it's very good to learn of the existence of initiatives and groups who strive for a greater whole in order to advance prosperity and well-being. Also Feeling EUROPE Foundation (FEF) favors a strong Europe and follows the view that such a Europe can be achieved together. In such a context, and amoung other geographically and demographically, the UK is part of Europe. In times of setbacks, it is possible to develop and operate partly as a nation state on its own, but more strength is certainly achieved together, rather than to separate from each other. It is fascinating to have knowledge of elevations and dark sides of Europe, to share views and perceptions about (apparent) prosperity, earnings and to reflect on the future of our space and our place. It is actually even more fascinating to work on policy and decision making processes, to enter platforms where spiritual, cultural and artistic, literary, intellectual discussions and debates in the social field are conducted, to expierence faces, drives and motivation of authorities who are delivering substance to effect a good society and our civilization. Globalization has shaken the world and consequences show and confronts with numerous challenges. Multilateral systems and social models are in trouble, amoung other by aging populations and increasing competition from low-wage countries. There is a need for guiding visions and ideas, knowledge and ways for the settings required for free, fair and effective global governance. Europe works intensively on the solution of the crises. The idea to lift the direction and concept to a larger and more robust whole is present or aspects of it are already realized. Concepts such as more federal direction, better monitoring, more democracy, stronger economy and creating jobs are increasingly rising and likely more and more commonly accepted. The European Union is a union of democratic states that itself is a democracy too. In half a century, the EU has evolved from a union of states into a European democracy. Let we together face the challenge to make it a living democracy. A democratic Europe for citizens, educated and with faith in progress thinking. A Europe with economic growth with the support of Europe 2020 strategy through the next (r)evolution by means of a digital agenda, new energy and innovation, such as low carbon vehicles. A Europe with solid infrastructures. A Europe with spirit and a broad movement, common identity or unifying factors in which the majority of society can feel at home so that our interaction rises again. A Europe with modern social structures, systems and regulations, where youth are involved. A Europe of solidarity and tolerance, with a comfortable political ideology, and good forms of public administration with sufficient space to dynamics of entrepreneurship. Europe as a hub. A Europe where everyone thinks along and participates to enlarge viability. From Greece to Greenland and from Finland to Spain. I emphasize the hope that all governments, legislatures and communities can leave the way of a narrow mind in favor of holistic insights that lead to a reasonable life, both socially and economically as in terms of the humanities.